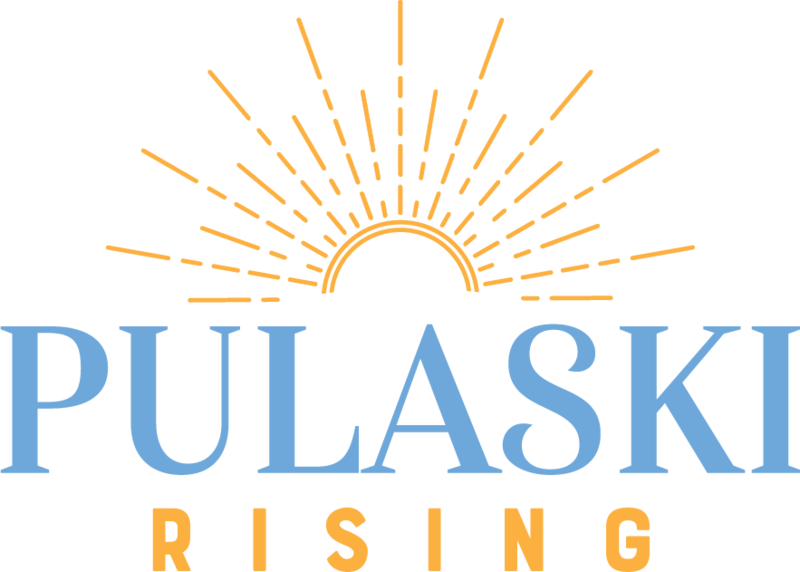 Pulaski on Main Unveiling: Friday, October 7, 11 a.m.
Tonight at Pulaski Town Council: A Vision for investment downtown (updated location). Tonight: we lock down the communication and outreach strategy for engaging others in the downtown vision. Join the rest of the Community U crew at 6 PM at the Pulaski Train Station tonight, Wednesday, August 24th. We’ll meet at the Pulaski Train station on Wednesday, August 24 at 6 PM to review the outreach materials. Then we’ll use them for the August 27 nonprofit outreach event. We’ll then present the same vision message to the Town Council on September 6….